Mr B just sent me this photo. Apparently he had 25 colleagues around his desk looking at this oversized beauty. 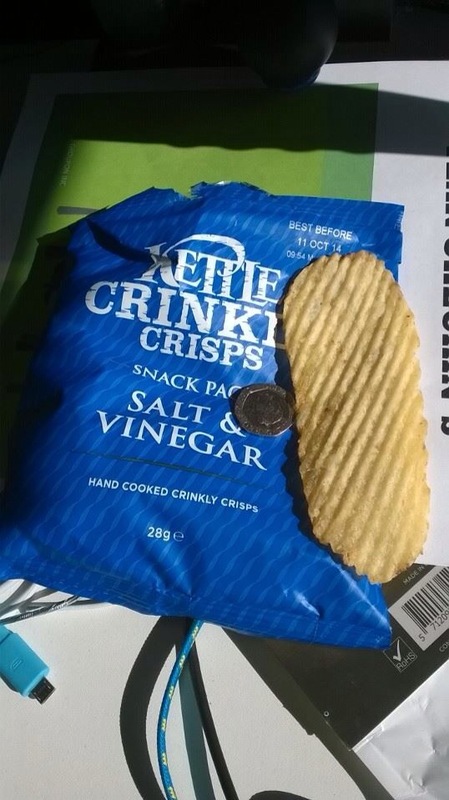 That is an impressively oversized crisp…!